Kamloops Acreage For Sale: 900 & 924 Harvie Road, Barriere, B.C. $95,000 & $114,900. Beautiful adjacent properties, each 10 acres with southern exposure and expansive views of the surrounding mountains. These properties are partially treed and have good building sites, perfect for your dream home. These properties also would be well suited for animals. Hydro already at the property line on 900 Harvie Road and it is on the property at 924 Harvie Road. 5 minutes to Barriere amenities, many lakes close and recreation nearby. 45 minutes to Kamloops, 40 minutes to Sun Peaks. Easy access to the properties and highway access nearby. 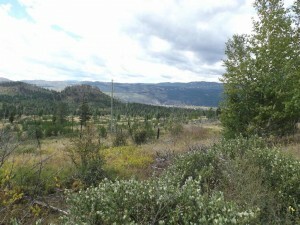 Barriere is located 45 minutes north east of the City of Kamloops. Barriere is well known for the recreational opportunities in both summer and winter. This region has world class snowmobiling and winter sports to enjoy in many regions of Barriere. There are also a number of lakes that are both fishing lakes as well as power boat lakes. Barriere also has a number of acreage properties that boast beautiful hillside views. These properties range in size from small hobby farms to large scale farming operations. The town of Barriere has a local grocery store, pharmacy, a hand full of smaller retailers, a local library, medical centre, Interior Savings Credit Union and a dozen other services and organizations. Barriere also has a lot of smaller residential properties close to the city centre. Further north of Barriere is Clearwater and the world renowned Wells Gray Park. 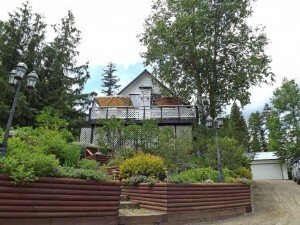 East Barriere Lake: 12.2 4260 Barriere Lakes Road East, East Barriere Lake Waterfront, B.C. $209,900. 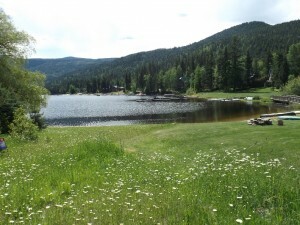 0.12 Acre waterfront lot on East Barriere Lake that is ready for your ideas! Build your dream rec house on this East facing flat lot and enjoy the summer from the comfort of your own home. 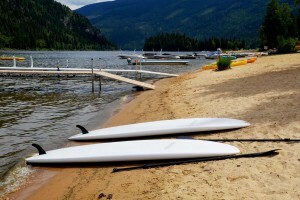 East Barriere Lake is perfect for power boating or paddling with kilometers of shoreline to explore. Roads are plowed and maintained year round. Community septic and water makes things easy. Bare land strata fee $125 per month. East Barriere Lake: 27-4333 Barriere Lakes Forestry Service Road East, East Barriere Lake, B.C. $299,900. 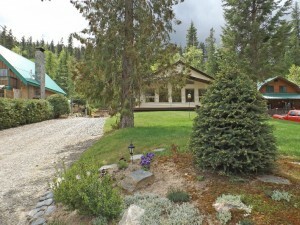 Awesome year round retreat on East Barriere Lake. This home was built in 2002 and features 2 bedrooms, 2 full bathrooms and a nice bright great room open floor plan and vaulted ceilings. There are large windows in the living room with views of the lake. This home could easily accommodate a 3rd bedroom (living room area). Included with this home is all the furnishings, boat slip in the marina which is located just below this home. There is room to build a detached shop or expand this home. Enjoy warm sunny days on the white sand beach and warm waters. This lake allows power boats, roads are maintained year round. $1,000 per year maintenance fee for community water, sewer and road maintenance. Tons of activities for the kids to enjoy on the lake & great community to become a part of. Roads maintained year round, 1hr drive from Kamloops, only 5km on maintained dirt road. Prepaid private lease until 2192. East Barriere Lake: 21-4333 Barriere Lakes Forestry Service Road East, East Barriere Lake, B.C. $419,900. Great home in The Sands development at East Barriere Lake. Beautiful view of the lake, easy access to a shared private beach and slip for your boat. This home has 4 large bedrooms and 3 full bathrooms. There are rough-ins for a secondary suite in the basement great for two families to share. There is a large 2 car detached shop great for your toys and over 12,000 square foot lot. This home features tile and hardwood throughout, two pellet stoves, alarm system, and tons of extras. Enjoy the summer days on the large deck overlooking the lake. Located 1 hour from Kamloops and 15 minutes from Barriere. Home good for year round residence or recreational. This home is on a community septic and water system. Roads maintained year round, 1hr drive from Kamloops, only 5km on maintained dirt road. Maintenance fee is $1,000. Prepaid private lease until 2192. Click here to view a video tour of this property.